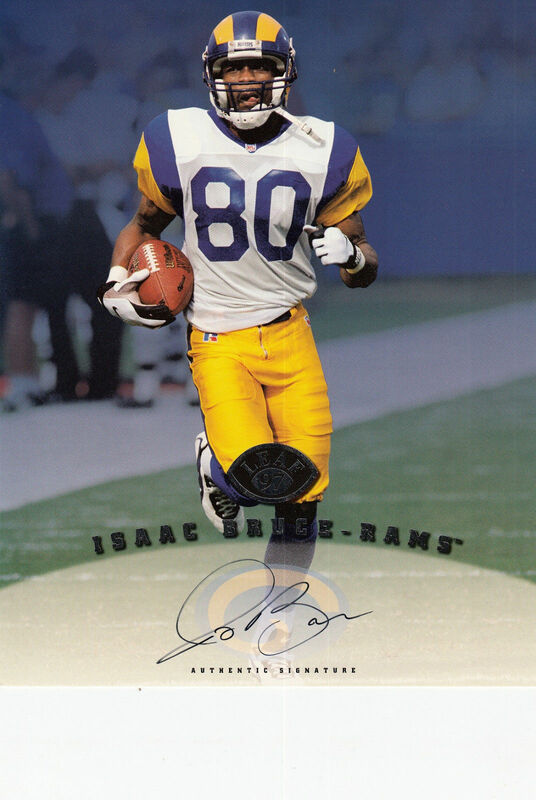 1997 Leaf Signature 8x10 photo card with certified autograph of St. Louis Rams future Hall of Fame wide receiver Isaac Bruce. With certificate of authenticity from AutographsForSale.com. ONLY ONE AVAILABLE FOR SALE.